If you’re like most shops, you keep yours running as efficiently as possible. However, there are some areas you could improve upon. Wouldn’t it be great if you could hire one employee to organize everything from your accounting department to the entire shop floor? This one person could instantly give you the information you need to make big picture business decisions, schedule all the jobs on your shop floor so none of them are late, and do much more. One person wouldn’t have time to handle all of that, but an ERP (Enterprise Resource Planning) system would. 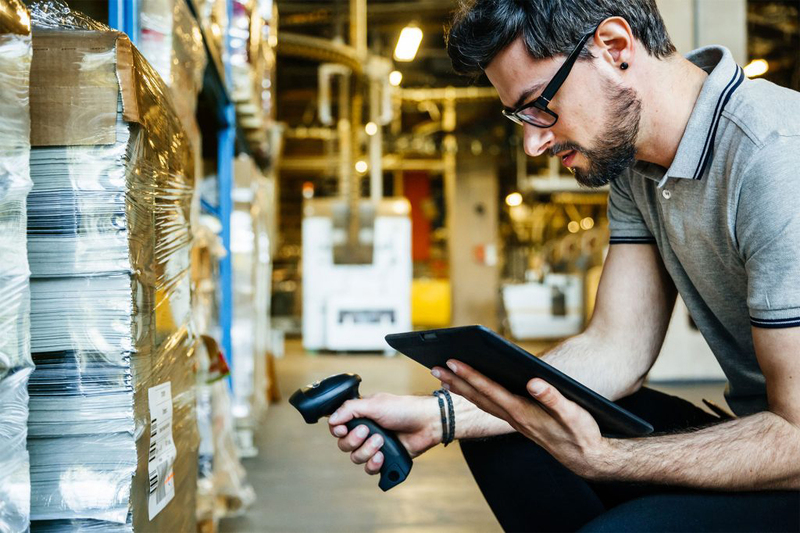 An ERP system can help you run your shop day-to-day, give you the big picture, and provide the details you need to understand trends in your business. Typically, to organize and improve your entire shop, you would need to hire multiple people. This not only will take time for new employees to become familiar with how your shop runs, but it will take quite a bit of time for them to gather and organize the important information they need. As things change, these employees would need to update information that was affected. With an ERP system, you don’t have these problems, and you don’t need to hire anyone else. Information only needs to be input once, and then it’s accessible to whoever needs it as things change. This holds true for every part of your shop that you use your ERP system for. That means that when you make a quote for a job, you can follow it through the shop floor and track the job’s progress. Then you can check the accounting module to see when your shop gets paid for the job, all without having to wait for someone to track down the information. Not only can an ERP system help with the day-to-day of running your shop, but it can also help you see the big picture of how your shop is doing. Pulling different data sets together in a way that makes sense can be a time-consuming task for one person to do. For an ERP system, it takes almost no time at all. Everything you need for any report is already collected in one place. Then, when you want a report, the system can create it with one click. With accurate, up-to-the-minute information, you can make better decisions about how to run your company. You can see data from every part of your shop with just a few clicks and use that information to make informed decisions. For one person, creating that report would be time-consuming and the information would be out of date by the time you got it. With an ERP system, you never have to worry about that. You can easily see how your shop is doing with just about any report you want, and you won’t have to wait to get it. This allows you to make better decisions about what your shop should do in the future and what it shouldn’t do. Having large-scale reports is excellent, but sometimes you also need to see the smallest details to understand why certain things happened in your shop. Some of the biggest changes in your shop started because of these small details. Being able to look at these details on a report can tell you exactly what went right or wrong and give you time to react. If you had one person in charge of analyzing all of these details, it would take them a significant amount of time. With an ERP system, all you have to do is click, and you can drill down to as much detail as you’d like anywhere in the report. You can access these details any time, instead of waiting for your employees to be at work. This information allows you to see how small changes can snowball into big changes, either good or bad. Knowing how these small changes can impact your business will help improve your business. An ERP system is not just a computer program, it’s a way to organize your entire shop and help you to be more profitable. An ERP system will streamline everything from daily tasks to big picture reports and pull important details out of your data. An ERP system will do the work of several people in minimal time. Every shop is looking to be more competitive and do more with less. An ERP system can make that happen. If you’re ready to implement an ERP system that can help run your day-to-day operations, give you the big picture, and provide the details you need, click below to see which of our products is best for your shop.